The current Corporate Social Investment spending shift and moving of the socio-economic development funding from welfare related services – to focusing it on education and educational development program – by the majority of corporate communities, continues to threaten and to force a number of charity organizations, in particular – Child and Youth Care Centre’s, providing temporary shelter to the socially and medically challenged children and youth, to cut down on key services/programs and or to close down the centers, forcing the statutory social work organizations to remove the children and youth – permanently cutting on Child and Youth Care jobs – sending employees home. It is a known fact that our country, South Africa, needs as much support available, for the educational development of the children and youth – more those in foundation and primary education phase. However, Child and Youth Care Centre – more those that are providing a holistic and integrated quality care to orphaned, abandoned, abused, traumatized, vulnerable and HIV positive children – equally needs financial support to provide the children and youth with life basic needs to all the beneficiaries in their care – food, water, electricity, security and most importantly – love that a child in a Child and Youth Care Centre finds him/herself longing for. Personally, I agree – as a country we need to build a sustainable and child sustaining educational system. 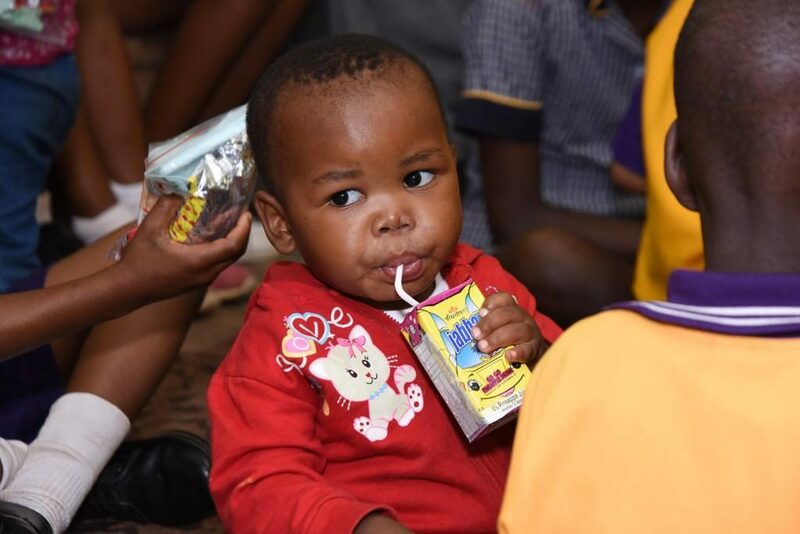 According to a study published in August 2014 by Kath Hall and Helen Meintjes from the Children’s Institute, a research and advocacy group based at the University of Cape Town, there are an estimated 3.5 million orphans in South Africa. Most – around 2.13 million – have lost their fathers. Around 611,000 children could be classified as “maternal orphans” and 812,000 children had lost both parents. It is further reported that many abused, neglected and abandoned children land up in children’s homes. New Jerusalem Children’s Home, is a children’s home that cares and provides a holistic and integrated quality care to 88 orphaned, abandoned, abused, traumatized, vulnerable and HIV positive children – is one of the many organizations that continues to face financial difficulties and limited financial support from the corporate communities. New Jerusalem Children’s Home needs R 5 467 900. (5.4 million) for its annual operational cost, inclusive of child and youth care daily development programs. It is however receiving 52-per-cent of its annual operational cost from the Department of Social Development. The organization – New Jerusalem Children’s Home, is left with a shortfall of 48-per-cent, which it needs to raise funds for in order to close the shortfall. It is a difficult task to raise the needed funds for the full annual operational costs and to retain the passionate staff members – with the current socio-economic development and corporate social investment funding shift within the corporate communities. Organizations such as New Jerusalem Children’s Home, are left with not much options but to cut down on its operations and shift their focus to programs that are strategically and financially supported by the corporate communities. The sad and hurtful part of all these shifts is “what about the child that needs a center such as New Jerusalem Children’s Home – is there no any other way that we can continue helping children and youth who are orphaned, abandoned, abused, traumatized, vulnerable and HIV positive children and who needs residential facilities? New Jerusalem Children’s Home is a PBO registered organization and can issue a Section 18A receipt/ tax deductible receipts for a made donation and sponsorship. I would like to invite you, your family and friends to please assist New Jerusalem Children’s Home with a once off or a monthly donation of R350 and or more.